Minnesota FREE In-Home Heating and Air Replacement Cost Proposal! Dean’s will schedule an appointment that is convenient for you, show up on time, and listen to your concerns. We’ll measure your home and it’s heating and cooling loss conditions to ensure your new equipment is sized correctly for your home. 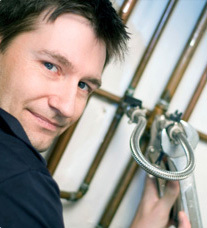 We’ll clearly explain your home heating and air equipment replacement options. You will get a FREE firm written proposal with complete heating system replacement or installation details and costs. No obligation cost proposal for heating or central air conditioning replacement or installation. When it’s time for a new heating or air conditioning system, contact Dean’s Professional Plumbing, Heating and Air for a FREE no obligation cost proposal.